In anticipation of Halloween my husband Jim announced he was going to start an “All Flesh Must Be Eaten” roleplaying campaign that would eventually lead up to the inevitable zombie apocalypse in 2012. (As an aside, in case you don’t know, as per Eden Studios website “All Flesh Must Be Eaten is a roleplaying game set in a world of survival horror. A world where the dead have come back from their graves.”) (As another aside, in case you don’t know, as per Steve Kenson, “A roleplaying game is something where you and some friends get together, create characters in an imaginary world, and play out their adventures using dice and a set of game rules to determine the outcomes, building the story as you go along.”) Are we all now on the same page? Good, because all of that is what you need to know to understand why in September I found myself wondering how to make a Zombie. Yes as you may now suspect, I won’t be telling you how to animate dead flesh to do your bidding, but if you heed my words you will have a bunch of living humans wishing they were dead! 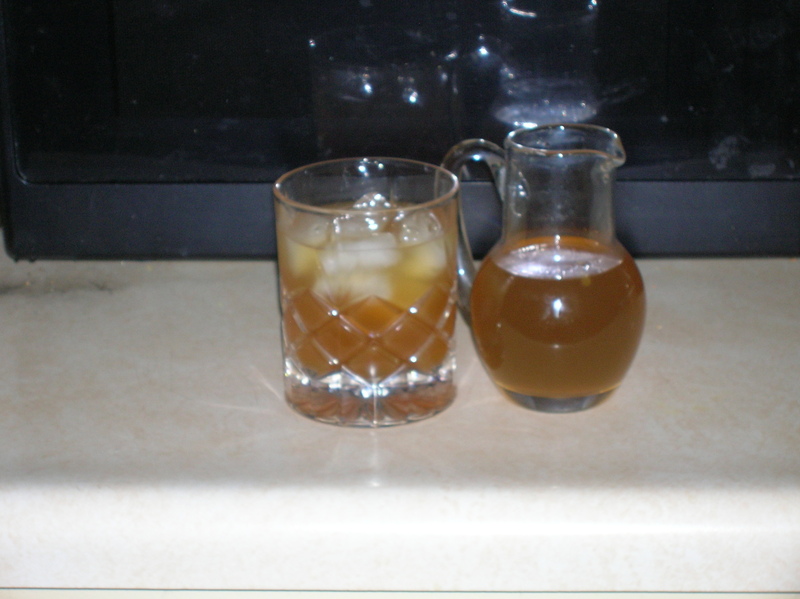 What better idea than to make a pitcher of the tropical cocktail classic, the Zombie, for an afternoon/evening of playing ‘All Flesh Must Be Eaten”? Despite my endless and eternal love of rum, I was lacking any confirmed as awesome recipes for Zombies. As I do in most matters of food or drink, I consulted Greg Bullard of What Greg Eats who immediately emailed me his all time favorite recipe for the Zombie. Fill a cocktail shaker with ice. Add all the liquids and stir well. Strain into ice filled tiki mug. Garnish with mint. This looked daunting. Brown sugar simple syrup? What the heck is Falernum? But just like alchemists in the days of yore, I steeled myself for a complex chemical process that if executed correctly would surely yield enlightenment (and hopefully an amusing article). So with the support of my spouse, we started our journey. We already had all the rum we needed on hand. You’re not surprised, are you? And I didn’t worry about the mint, because I was making a pitcher’s worth. Also, thanks to my friend Erin (who you may remember from the Rally to Restore Sanity and/or Fear) who introduced my husband to the joys of a pineapple and Malibu (pineapple juice and Malibu rum), we always have cans of pineapple juice around the apartment. Yes, I used canned pineapple juice. Who do you think is writing this, Martha Stewart? Might as well also tell you we used the finest lime juice you could get in a bottle. We had brown sugar on hand from when we were planning on trying a new cookie recipe that we never made and we had water, so that was just a matter of dissolving it into some simmering water for the simple syrup. This just left the Falernum. What the heck is Falernum? As with all questions that general answers will work for, I turned to Wikipedia. The random folks over there said, “Falernum (pronounced fah-learn-um) is a sweet syrup used in tropical and Caribbean drinks. It contains flavors of almond, ginger and/or cloves, and lime, and sometimes vanilla or allspice. It is used in cocktails in a manner similar to orgeat syrup or drunk on the rocks. The syrup form can be alcoholic or nonalcoholic. The consistency is thick, the color can be white to light amber, and it may be clear or translucent.” Armed with this knowledge we started checking our local liquor stores, who had no clue what we were talking about. However, an incredibly enthusiastic man at one store decided to Google it. One of the first things he saw was this recipe for making your own Falernum. We explained we weren’t going to make our own Falernum, it was ridiculous, but he was so excited and confident we would do great that we ended up buying the overproof rum the recipe required and left to give it a try. (Can I just add that the website Kaiser Penguin is awesome? Now that I’ve tackled the Falernum issue I plan on becoming a regular reader!) I’m not going to copy and paste the recipe over here, this isn’t Cooks Source, so to see what’s involved just take a quick peak. The site is totally safe unless you’re a recovering alcoholic. 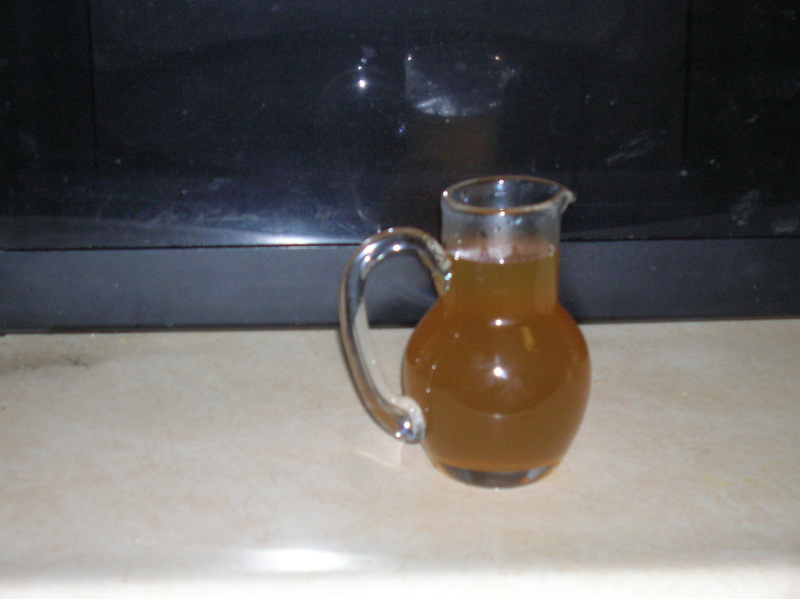 I accidentally deleted the photos from the soaking overnight phase, but I have a cute picture of our completed Falernum in it’s own little pitcher. Sigh….yes, that is supposed to be used for cream but our household is light on dairy and heavy on rum. With all the components ready to go, Jim and I tried out Greg’s Zombie Recipe. Delicious! Surprisingly smooth, but a little tangy with a nice spice. Oddly, the spiced flavor it had made me feel like it would probably also taste good warmed up like a deadly mulled cider. I’m not going to lie, it was a labor intensive process. I feel it was labor intensive and Jim did most of the labor, so definitely a bit laborious, but the result was a surprisingly good Zombie that ended up be a big hit with my fellow gamers. Next postFreeze! It’s the Vice Squad! Part 6: Rap Music Strikes Again!